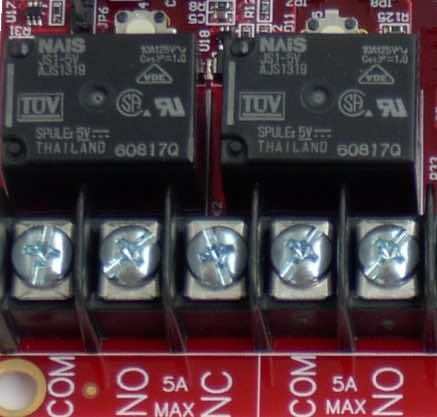 No matter how far o remote your site’s location maybe, as long as there is internet connectivity you will be able to Monitor your battery voltage over the internet with isolated voltmeters. Control generators, pumps, lights, turn devices on or off. Measurement of battery voltage and charging. Amperage measurement through a shunt. Measurement of wind turbine and solar panel output. Detection of A/C power, presence or absence. Door and window contact monitoring. Fuel tank level monitoring. Email and SMS Alerts. High reliability is extremely important for any remote communications site. Some remote sites are helicopter access only for most of the year. At $2000.00 per hour for a helicopter, you will want to plan your trips instead of reacting to dead batteries! RMS-100 Has ultra-low power consumption and won’t put a drain on your power source. Uses only 1.2 watts! 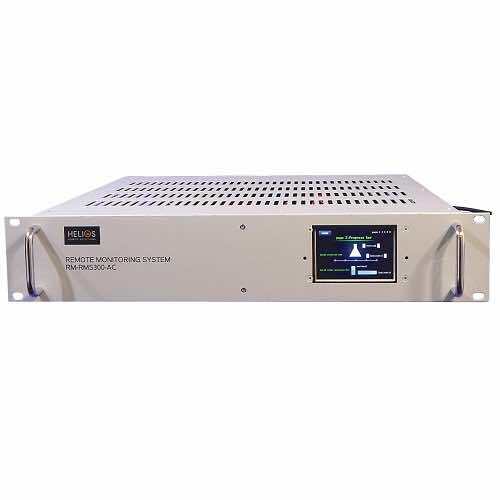 RMS-100 Is powered by DC voltage from 10 to 60 volts. 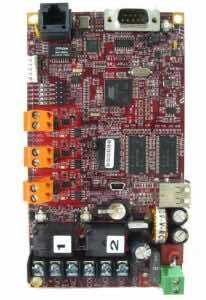 RMS-100 Uses embedded Ethernet technology for internet data acquisition and remote voltage monitoring. RMS-100 Uses the LINUX operating system for versatility, stability, and security. RMS-100 Gives you the situational awareness you need to keep your equipment operational and reliable. RMS-300 Has ultra low power consumption and won’t put a drain on your power source. Uses only 1.2 watts. 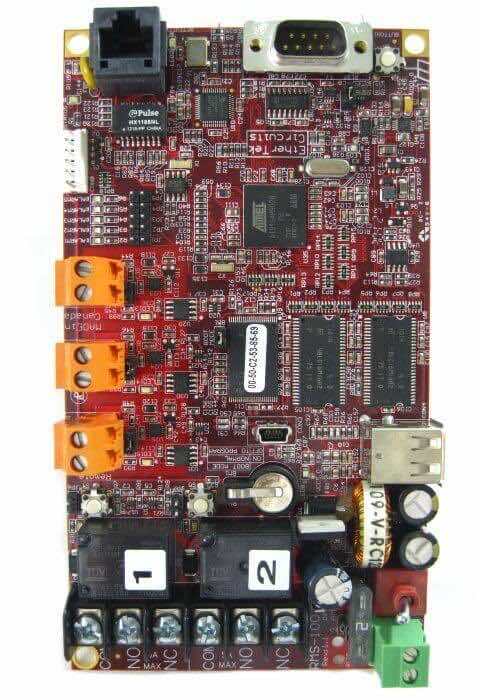 RMS-300 Is powered by DC voltage from 10 to 60 volts. 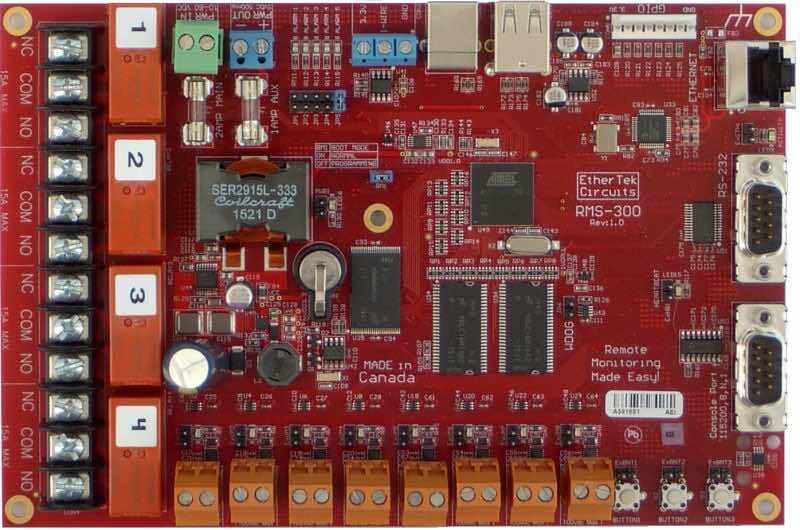 RMS-300 Uses embedded Ethernet technology for internet data acquisition and remote voltage monitoring. RMS-300 Allows you to monitor voltage at your home solar energy system or remote repeater site. RMS-300 Uses the LINUX operating system for versatility, stability, and security. RMS-300 Gives you the situational awareness you need to keep your equipment operational and reliable. 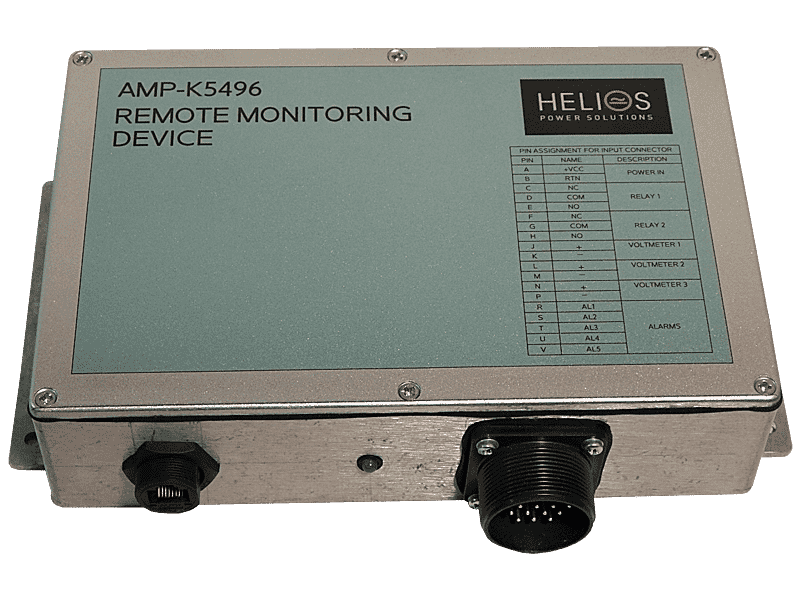 Use RMS-300 to monitor battery levels, room temperature, signal strength (RSSI) on radios and more. 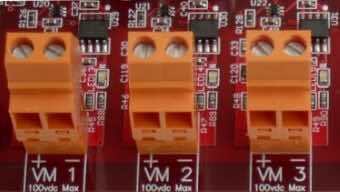 RMS-300 has 8 onboard isolated voltmeters giving it the ability to measure DC voltage from -100 to +100 volts with 24 bit accuracy. 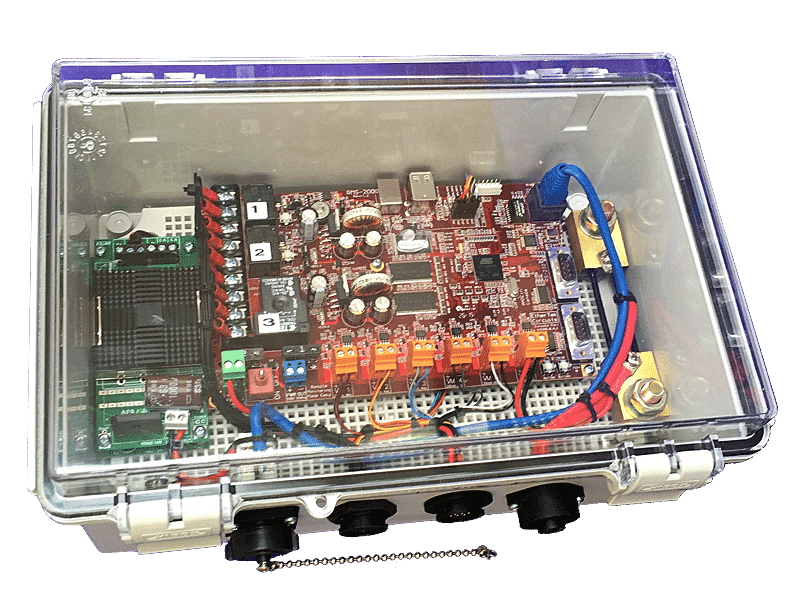 RMS-300 also has 4 latching power relays giving it the unique ability to turn on/off devices remotely using an Internet connection. Use the power relays to remote start a generator. RMS-300 has 5 dedicated input pins used for door alarms, solar panel theft prevention, or to monitor motion sensors. RMS-300 can alert you via email or SMS messages when your battery bank is low. RMS-300 has ping monitor software that allows you to monitor network devices and alert you to failure and possibly power cycle the device. Monitor all this information remotely over an Internet connection using an ordinary web browser. Hyper efficient Low Noise Switching Power Supply, accepts 8 – 60 vdc input. Can be powered directly from 12, 24, or 48 volt battery banks. One full serial port for controlling cell phones, modems, GPRS, etc. One console serial port for full terminal access.